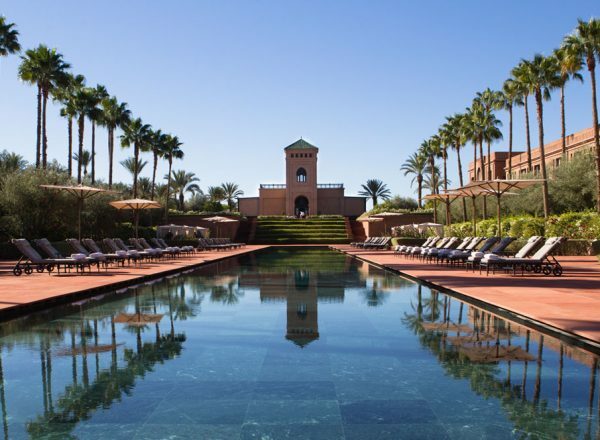 On a warm October day we headed to the beautiful luxury hotel The Selman, on the outskirts of Marrakesh, for sumptuous dining experience. 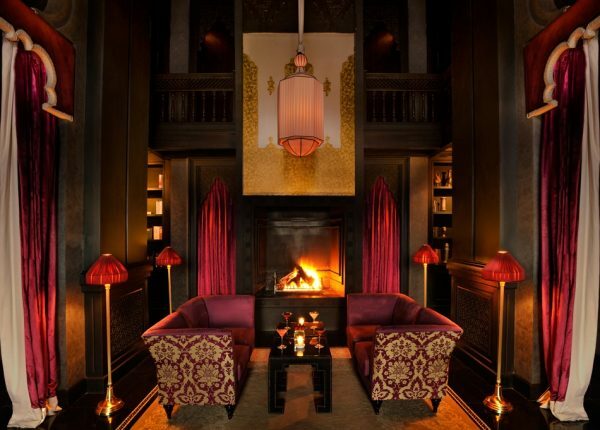 Our chauffeur drove us up to the front door of the spectacular hotel where the Dorman showed us into the lobby where we then glided across the marble floors to the main restaurant. 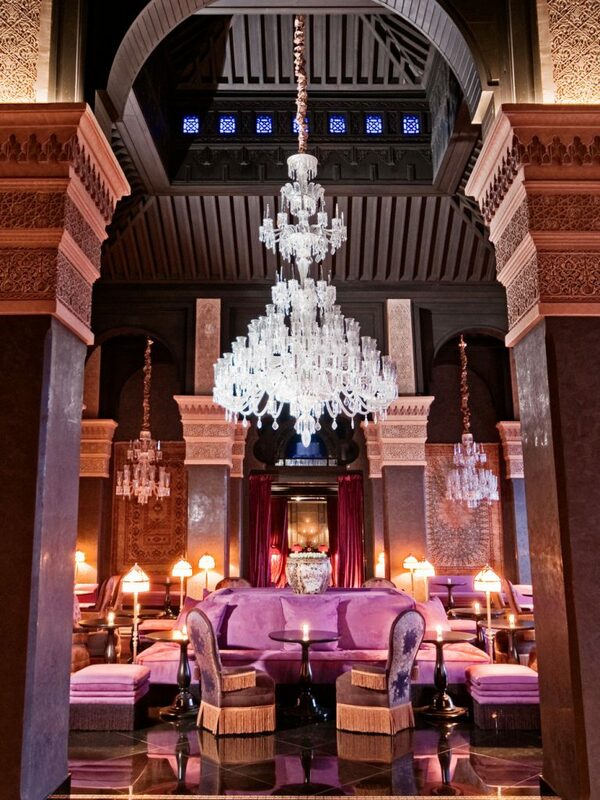 The charming Soufian greeted us and suggested we take an aperitif on the terrace that overlooks The Selman’s pool. 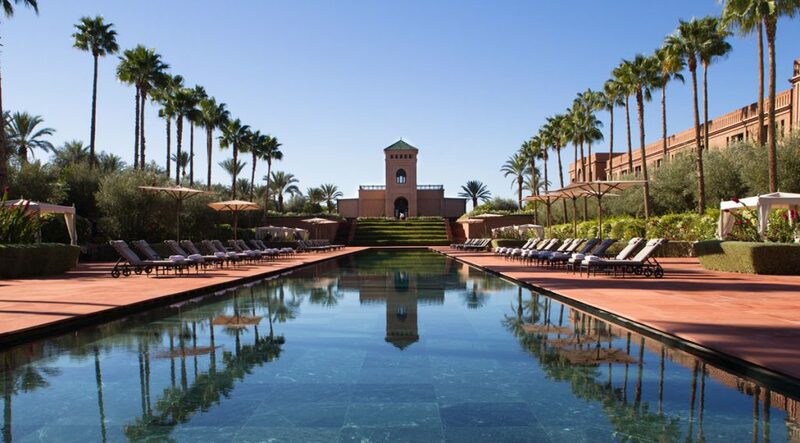 The Selman’s main pool is one of the longest pools in Marrakech and is literary the heart of the oasis imagined by Jacques Garcia, bordered by the Andalusian garden and the view over the atlas mountains it was the perfect place to start our evening. Eisbär started with a Basil Martini that consisted of gin with basil and other secret ingredients, it was rather green and rather strong but he seemed to enjoy it. I went for a classic Negroni made with gin, it came with tonic and served in a long glass, it was extremely flavoursome and refreshing! After a few nibbles at the tapas that included food fish croquettes and prawn tempura we made our way back in to the main restaurant to our table overlooking the hotels grounds and the skyline beyond. 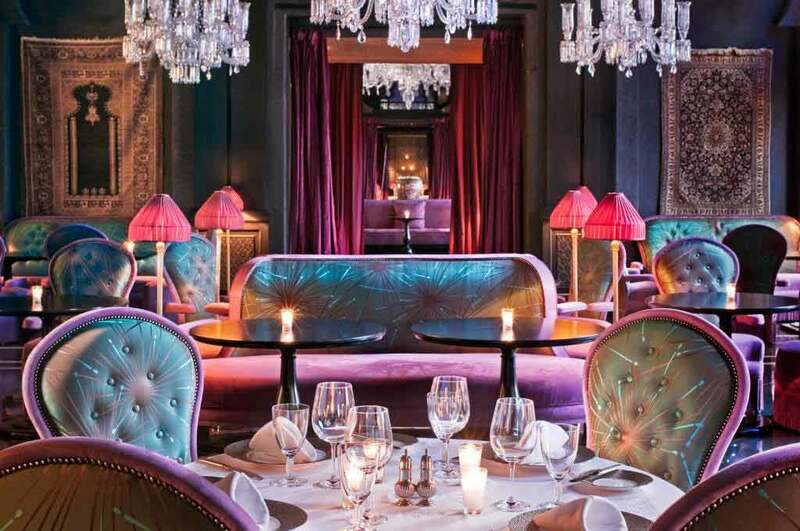 Jacques Garcia designs the Selman Restaurant in sparkling shades of green and purple, with breathtaking chandeliers resulting in a very chic and trendy dining venue. The DJ also played seriously sultry Ibiza chillout mixes that added to the ambience of the restaurant; we enjoyed the music so much that the DJ was lovely enough to make CD’s of the mixes for us to take away with us! 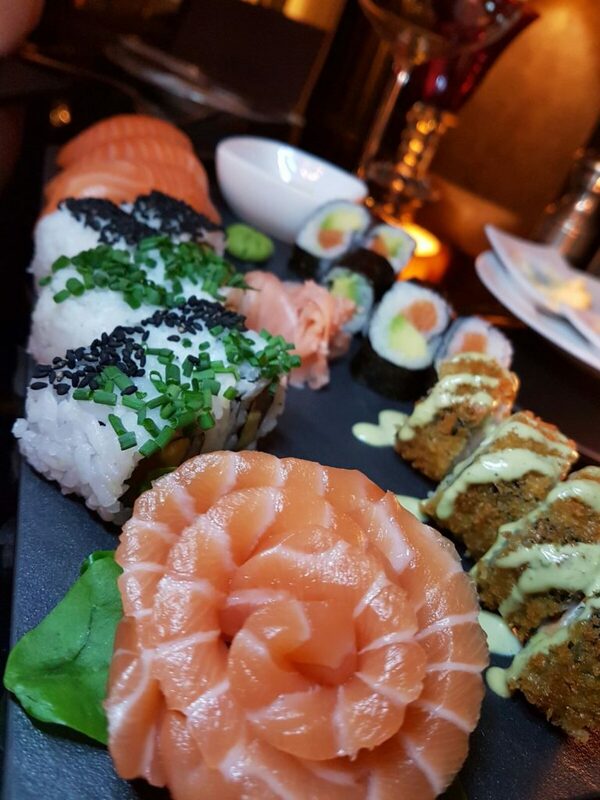 The food is of an international offering with French, Moroccan and Japanese cuisine, perfect if you cannot settle on what to eat! We started our meal with the beef fillet with locally made Foie Gras served with caramelized onions, this dish was totally divine, the beef was perfectly cooked and the foie gras was creamy like meat butter with the onions adding a sweet texture to the overall dish. 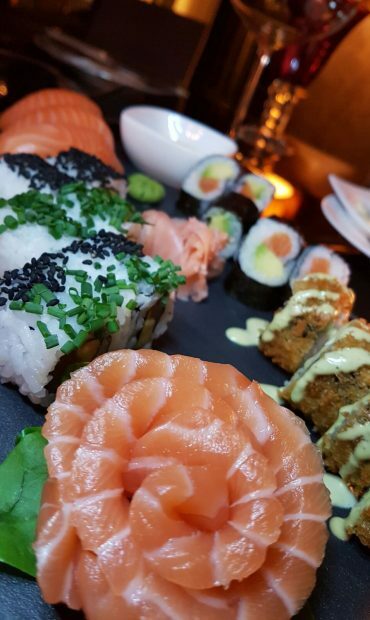 The 18-piece sushi including Nigri, sashimi, California rolls, crispy rolls and Maki, all made with locally sourced salmon from Agadir. The Wasabi served with the sushi was very mild and extremely pleasant, we also both love the toasted sesame seeds on the rice and that the sushi was presented on a slate with chopsticks. This dish was really fresh and a great starter to share. Next for mains I opted for the scallops that were huge! They were lightly seared with seasoning with the texture cooked just beyond raw, they were delicate and simple, just how they should be! Served on a cauliflower base that was smooth, well seasoned and delicate enough not to overpower the scallops, this dish was healthy, clean, fresh and no fuss! Eisbär opted for the chicken which was a leg stuffed with spinach served with [piped French potato, roasted garlic and endive onions. This dish was rounded, well seasoned, not too sweet and the chicken was perfectly cooked and moist. 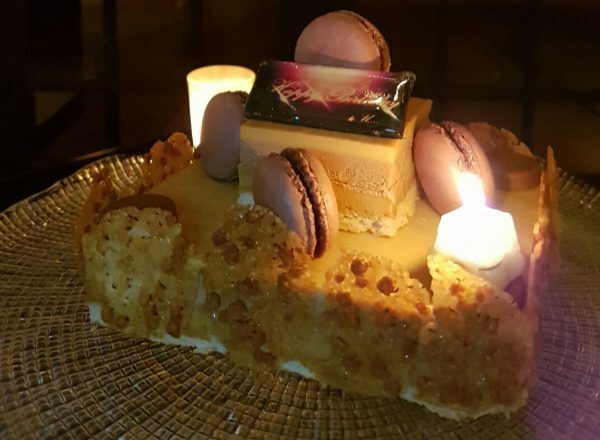 The pièce de résistance of the meal was the birthday cake! 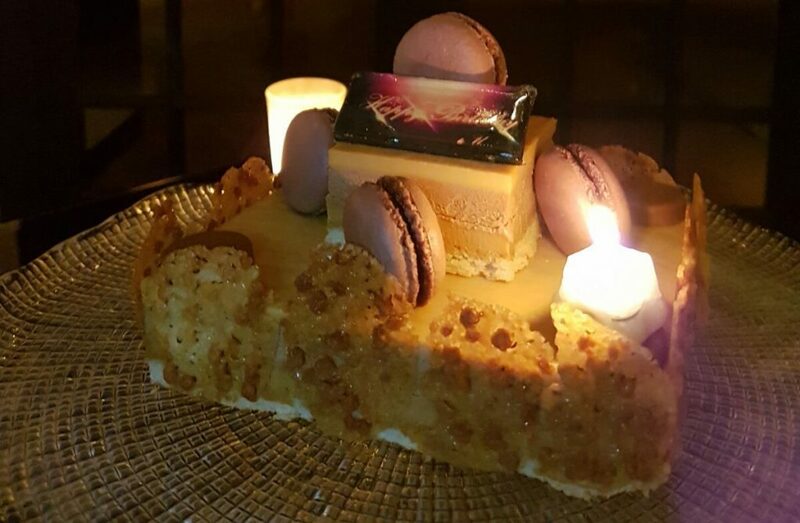 Being it was Eisbär’s birthday, the Selman Restaurant surprised us with a chocolate mousse cake with chocolate macrons and brandy snaps, it was made up of light and fluffy chocolate mousse with dolce du leche and crunchy brandy snaps with chocolate and even a Happy Birthday Sign in chocolate! Now Eisbär has a bit of a chocolate obsession so The Selman could not have made a more perfect personalized birthday cake for him, one that last several days as we took it with us (something that thrilled Eisbär immensely). 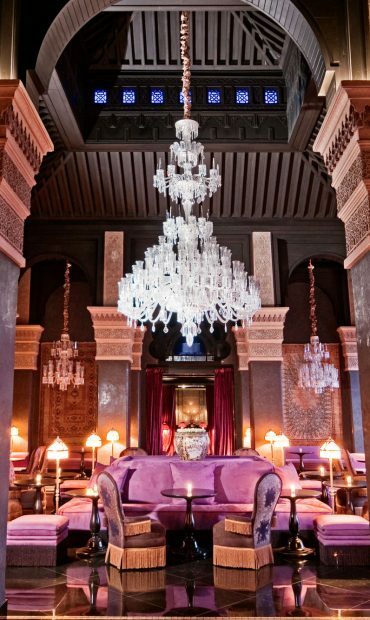 After the obligatory Espresso Martinis in the Selman bar, our chauffeur returned to whisk us away back into the warm Moroccan night. We said goodbye to our lovely hosts for the evening, Soufian and his staff, and with much laughter, some serious Ibiza beats and half a chocolate cake we made our way out of the front door and back to Marrakech. 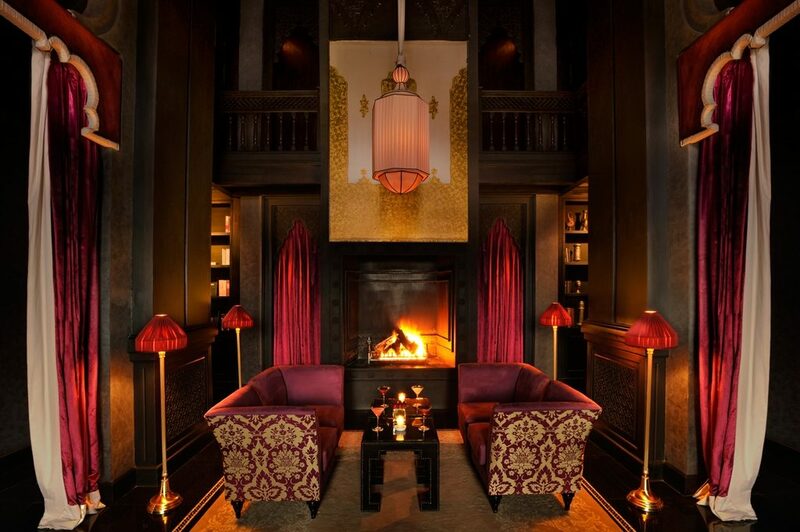 Whether you are celebrating or not the Selman Restaurant is a true oasis of fine cuisine and beautifully handcrafted cocktails all set in a luxurious chilled ambience with charming staff that pay attention to every detail. Now every grey day back in Blightly, I put on my Selman mix, close my eyes, and transport myself back to that terrace, Negroni in hand and look forward to the day I open my eyes and its reality!